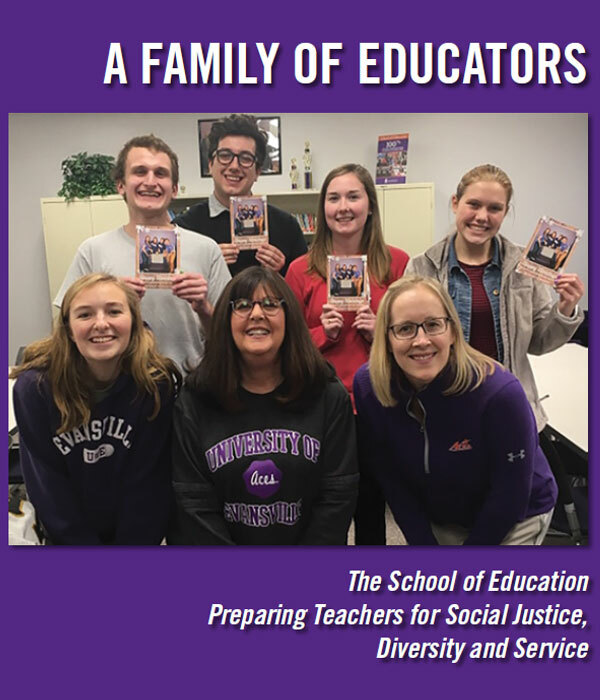 The University of Evansville's School of Education offers a challenging curriculum in a supportive environment, preparing tomorrow's teachers with the tools they will need to succeed in their own classroom. Our Transfer Pathway keeps you on the path to earning your bachelor’s degree. 100% of our recent graduates are working in the field of education or are enrolled in graduate school-that’s a bright future! A K-12 classroom placement during freshman year. A K-12 classroom practicum in a special needs classroom during sophomore year. Full Year of Student Teaching Internships in a K-12 classroom typically completed during junior year. A full 16 weeks of student teaching during senior year. Easily gain 1,000 hours of classroom experience before graduation. Opportunities to conduct research with faculty members and participate in community activities, including literacy and reading events and after-school programs. The University of Evansville became a “test optional” school beginning with the class entering in fall 2018. New applicants to UE will have the choice to opt out of submitting standardized test scores from the SAT and ACT for admission consideration. Education students, however, are required to demonstrate their basic skills competency prior to formal Admission to Teacher Education at UE, typically completed their sophomore year. Education majors can choose to demonstrate this competence with Indiana CORE Academic Skills Assessment (CASA) rather than the ACT or SAT. Those who opt out of submitting ACT or SAT test scores on their application will be required to submit an essay in addition to information about their academic achievements as high school students.